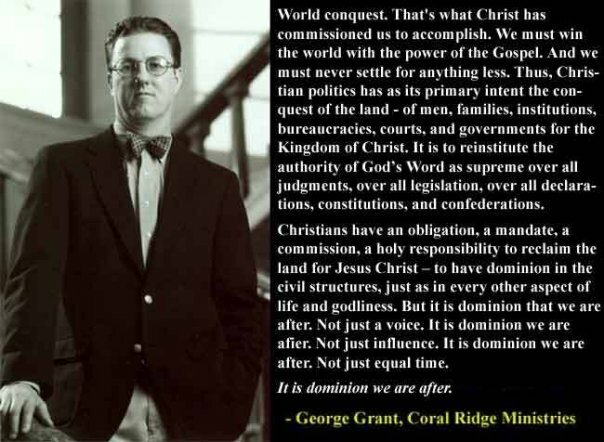 Despite the argument from some theists that the United States was founded on Christianity, the separation of church and state remains of paramount importance, not just for atheists but to protect the practice of religion from state interference as well. Unfortunately, it seems the most outspoken patriots on this issue are, ironically, the freethinkers. Atheists care about religion because religion is not some innocuous or mostly-benevolent force in society. Quite the contrary. Religion infringes upon the daily lives of all citizens, whether or not they believe. Churches are tax-exempt, yet they typically consume disproportionally more of public-funded resources. Time has clearly shown religion to be a significant factor in war, murder, suppression of scientific progress and humanitarian aid, and oppression of women, minorities and others with different beliefs. Religion is "in our face"
Some believe a person's spiritual beliefs are private and personal and those people don't raise the ire of non-theists, but there's a huge amount of pro-religious propaganda that permeates everyday life. From the seemingly innocuous "God bless you" when you sneeze, to pro-life bumper stickers, daily affirmations, religious billboards, churches every few blocks, "In God we trust" on every dollar bill, blinking religious signs, the President mentioning God every so often, faith-based initiatives and more. It's rare to walk anywhere in public and not see some religious advertisement every few moments. Imagine if the cause of non-belief were promoted to even one hundredth this degree? Theists would be totally outraged. Yet if an atheist decides to react to the overwhelming pro-religion propaganda that's in his face on a daily basis, he's labeled as "angry", "militant", "intolerant" and "extremist" or even "blasphemer" and eligible for a jail sentence in some countries. If you promote your superstitious beliefs in a public space, it's only fair that we have a right to respond to them. In the US, Republican John Shimkus (R-Ill.), who will seek the Energy and Commerce Committee chairmanship, maintained in 2009 that we do not have to worry about climate change because God promised in the Bible not to destroy the world again after Noah's flood. In many states people who don't believe in god are discriminated against by law. There are numerous examples of institutionalized and political prejudice against non-theists. Many taxpayer/government-funded institutions such as the Boy Scouts actively discriminate against non-believers. 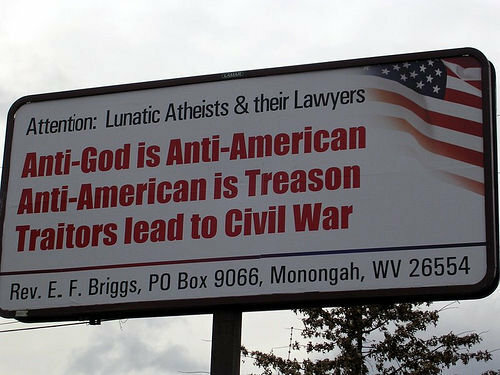 Many civic groups, such as the Masons, refuse membership to atheists. They allow their members to believe in a wide variety of superstitious, mythological entities from Allah to Yahweh, but if you reject all that, you are not welcome. Mainstream media suggests that atheists should not be accommodated in American society. Religiously-motivated "blue laws" restrict what all people can do on certain days. It seems inappropriate to tell store owners they can't sell certain products on a certain day of the week. In some areas of the country, and specifically outside the United States, it is illegal or dangerous to open your business on Saturday or Sunday, where such days may be considered holy days based on local mythology. In many jurisdictions, the sale of alcohol is prohibited. The motivation behind these "dry counties" is based on religion. And in many other areas, you cannot purchase alcohol or other goods on Sunday. Abortion is illegal in many areas of the country, even though many other forms of killing of creatures is often celebrated. This is also religiously motivated and inconsistent. Churches don't pay a fair share of taxes, if at all. This increases the overall tax burden for everybody else, and ironically churches are the last institutions that need financial support from the government. Religion is promoted throughout a number of inappropriate, secular mediums, from being stamped on money to embedded into daily pledges expressed by students. George W. Bush has carried this injustice even further by implementing an Office of Faith-Based Initiatives in government and taking even more taxpayer dollars and giving it to church groups. Even moderate theists who respect the separation of church and state, help protect the extremist factions by not allowing religious debate in the public sector; a show such as Richard Dawkins' "The Root of All Evil?" would never be shown on network television in America. Judeo-Christian religions directly promote the idea of supernatural "forgiveness" of sins, allowing people to commit horrible and immoral acts and think that through prayer and prostration to god, their transgressions can be forgiven. What motivation is there to be a decent human being in the first place if you can ask your god to forgive you at any time? Humans are taught through religion that everything, "is part of god's plan" and ultimately beyond their control. Religiously-motivated 12-step programs like Alcoholics Anonymous suggest to people that they are not in control of their own actions and must depend upon some supernatural force to keep them clean. Ultimately its a reason why these programs fail most of the time -- people are not taught to bear personal responsibility for their own actions. Religion promotes meaningless gestures such as "prayer" as an alternative to more substantive actions to help fellow members of the community. 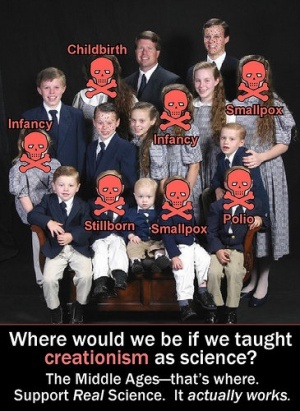 Creationists and other religious people are intent upon perverting school curriculum to reflect their dogmatic view of the world, regardless of whether their views are truthful or scientific. They insist on re-writing textbooks that young children are using to include propaganda that promotes their ideological doctrine and often conflicts with reality. Many people argue that atheists pick on all theists when the fundamentalist/extremist ones are mostly at fault and the majority of theists are more benign and beneficial to society. This is wrong. ALL theists and ALL forms of theism are harmful and destructive. The points outlined above are not specific to fundamentalist extremists; They are common among virtually all theistic denominations. Contrary to what most may believe, moderate theists are the most destructive. This is because they provide the cover (as well as the breeding ground) for the fundamentalists. They are the major force that will not allow open and honest debate on theism to exist in the public mainstream media. There are many great documentaries on science and theology that will never air in the United States because theists, even moderate and liberal ones, would not tolerate such discussion. This is because theism really doesn't have much of a legitimate, rational leg to stand on. The very fact that theists would rather not have their beliefs critiqued further underlines the reality that their beliefs are most likely not rational and that theists are most likely unable to defend them in an open forum. For this reason, Atheists cannot pick and choose certain factions of fundamentalists to rail against. In truth, all theists -- from extremists to liberals -- are part of the same deluded group. They all create the same problems for our society, and it would be intellectually dishonest to claim otherwise. Christians follow a book of fables concocted by a Bronze Age desert tribe, attributing to it the answers to everything important in our world and denying well reasoned, testable, scientific discoveries and advancements until forced, after decades, centuries even millenia of naysaying, war, oppression, executions and banishments from society of people who dare to question the complete inerrancy and/or relevancy of said book of Bronze Age fables. Christians ascribe their individual sets of beliefs, occasionally moderated, often exacerbated, by clergy, to an invisible, inerrant and all powerful "friend" who lives in their minds. Not coincidentally, each person believes that "God" believes exactly the same way they do, yet each person has a different set of beliefs. Real world decisions with very serious consequences are made based on these commonly shared fantasies. Christianity teaches people to simply believe what they're told and to develop cognitive systems for confirming ideas that they MUST hold, even if it conflicts with observable reality. The result is that reality is distorted to conform to their ideas of "God" and not the other way around. Many Christians believe in a "literal" interpretation of the Bible, as though every page contained therein, not one more, not one less, is the unquestionable, literal word of the entity that created and runs the universe. This is so utterly ignorant of the facts of linguistics, namely the fact that each person is reading a different translation that has been filtered through two to three languages. Moreover, there is no way that modern people have any sort of definitive understanding of all of the nuances of ancient Greek, Hebrew and Aramaic. Yet, somehow, the New International Version, or "God forbid" the King James Version is word-for-word literally inerrant. And then there were all of those "books of the Bible" that were arbitrarily tossed out for political or other reasons. Emboldened by this sense of grandiosity and righteousness, from many peoples' experience, a vast majority of Christians feel completely comfortable passing judgment upon other people, including other Christians, and are willing to use whatever means are at their disposal to cause them to conform to a "righteous path" (see: that which each individual in his head thinks is appropriate, and with which God inevitably agrees). Sure, there is Biblical scripture that cautions against such judgments. But if you're going to make a statement about what Christianity is, or what Christians are, generally, the only meaningful measure is how the scripture, culture and customs as a whole are interpreted and implemented.